Enjoying the water is a big part of living in Dunedin; there is nothing like jumping into your own pool after a long days work, especially in the Florida heat. This simple pleasure is why pool cleaning services in Dunedin are so important. Since 1959 Triangle Pool has been serving the Tampa Bay area with the most professional and comprehensive pool services. At Triangle we understand that your pool is more than an asset of your home; it is a major source of entertainment and relaxation for you and your friends. Like a car, your pool needs (and deserves!) regular maintenance in order to function to its maximum potential. Triangle’s pool cleaning services in Dunedin are here to ensure that your pool is the pinnacle of relaxation and pleasure. A lot of Dunedin pool owners are young to middle aged couples who both work jobs during the day. Maintaining a pool is a time commitment, and nobody wants to come home after a hard days work only to have another chore waiting for them; most people would rather have their pool fresh and clean the minute they got home so they could just jump right in. This is why Triangle’s pool cleaning services in Dunedin are so invaluable. At Triangle Pool, our expert professionals, who are all certified by the State of Florida and are factory trained, will manage and maintain your pool for you, minimizing and/or eliminating all work you need to do on your pool. Chemical Maintenance – One of the more dangerous and difficult aspects of maintaining your pool is balancing the chemicals in your pool. 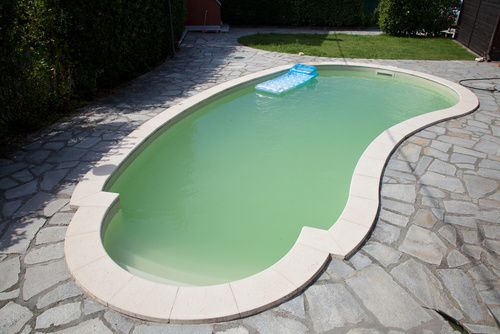 If you undershoot the amount of chemicals, your pool water can become dirty and potentially contaminated with harmful bacteria. If you overshoot the balance of chemicals, you can cause irreparable damage to the swimmers. This includes skin irritation, eye damage, and even hair discoloration. Let a professional manage your chemicals and keep your pool clear, blue, and refreshing. Tile Cleaning – Even if your use chemicals and clean your pool regularly, one of the most commonly missed aspects of the pool are the decorative tiles that usually line the edge of a pool. Regardless of how clean you keep your pool, grime and slime build up on your tiles overtime, decreasing the aesthetic pleasures of your pool. At Triangle Pool, your professional cleaners are incredibly thorough and will take care of every last aspect of your pool. Call Triangle Pool Service Today! Triangle Pool Services values its customers. That’s why we’ve been catering to the Tampa Bay area for over almost 60 years. With that much experience, there is no other pool cleaning service in Dunedin that you should trust. We understand that owning a pool is commitment; it’s a major part of your household after all. However, most pool owners simply don’t have the time or energy to constantly maintain the cleanliness of their pool. Lighten your work load and let Triangle’s professional pool cleaning services in Dunedin manage your pool. Give us a call at (727) 531-0473 or contact us online and see your pool become the pinnacle of relaxation and pleasure that is it meant to be.